Marty Byrnes was a physical power forward with a nice left handed shot for Syracuse University. He was a strong leader on the court and was named the team captain both his junior and senior seasons. Byrnes was seldom used his freshman year, when the Orangemen made their miraculous run to the NCAA Final Four. However, in his sophomore season, he immediately became a starter, a role he would keep for the remainder of his career at Syracuse. Lacking a true big man on the team that year, Byrnes would primarily start at center. His junior year, Byrnes was able to move back to his natural position of power forward with the arrival of Roosevelt Bouie. By his senior season, Byrnes was the 'go to' guy on Syracuse's offense. He would lead the team in scoring, and more importantly, during the crunch moments of the game, the team would set plays for Byrnes to take the last shot. He had developed a strong reputation of being able to drive to the hoop and get the clutch basket at the end of the game. In the Carrier Classic, early his senior season, Byrnes matched up with the notable Earvin 'Magic' Johnson. Byrnes would win the individual match up, and the Orangemen would win the inaugural Classic. In the ECAC playoffs Byrnes proved his mettle once again, pulling down 18 rebounds in the Orange victory. In the NCAA tournament the Orangemen struggled against lower seed Western Kentucky. The team was able to take the game to overtime. Down by one point late in the extra period, the Orangemen ran a play to have Byrnes take the last shot. Byrnes drove to the hoop, made the basket and was fouled. However, the second referee overruled the original call, saying the basket did not count. Byrnes had to go to the line for a one and one. One free throw would tie the game, the second would win. Byrnes took his shot, missed and the Orangemen were sent home with a first round loss. 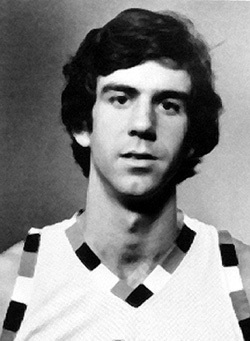 Byrnes was drafted in the first round of the 1978 NBA draft by the Phoenix Suns (the 19th overall pick). He would play four seasons in the NBA, for five different teams: Phoenix Suns (1979), New Orleans Jazz (1979), Los Angeles Lakers (1980), Dallas Mavericks (1981), and Indianapolis Pacers (1983). His best season in the NBA was 1981, averaging 7.8 ppg. Byrnes would win a championship ring with the Lakers in 1980, primarily in a reserve role; he would play in four playoff games. Following his career in the NBA, Byrnes would spend four seasons playing basketball in Italy. He retired from professional basketball in 1988. He was a graduate assistant basketball coach at Syracuse for the 1989-1990 season. Byrnes was named to the Syracuse All-Century Team in 2000.